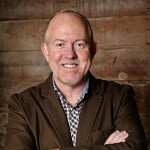 Join us for Part 2 of our discussion with Greg Ligon, Vice President of the Leadership Network, about Virtual Assistants and if your ministry needs one. This talk is a Q&A discussion with Greg and a few college ministry leaders as we go into specifics about how a Virtual Assistant can help leaders maintain focus and direction in their many roles. What is the difference between a virtual assistant and a typical employee? Getting specific: Are there virtual assistants for graphics and specific kinds of tasks? How much does it cost? Discussing multiple virtual assistant options in terms of price.